The makeshift restraint was allegedly in response to a fall Hallowell sustained, and was ordered to have one-on-one care. Instead, the workers thought a sheet would suffice, but a distraught nurse’s aide saw the sheet and felt otherwise. The aide took the photo and sent it to Thompson. Betty Monroe, Hallowell’s legal guardian, was outraged by the maltreatment the Voorhees Center had allowed and has sued to protect Hallowell. The restraint was not approved by a doctor and the center has yet to admit their mistakes, Monroe told FOX 29. 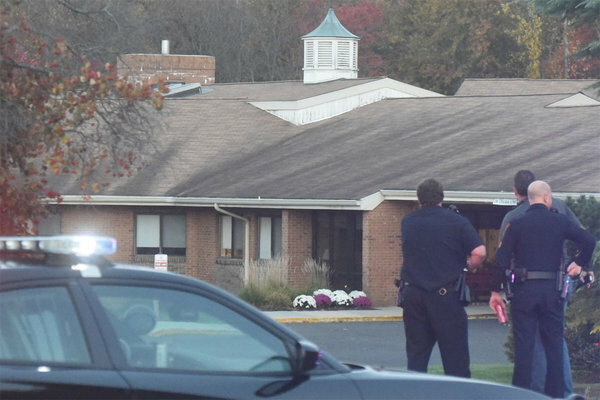 The woman responsible for the neglectful sheet restraint has been fired according to reports, and both the Voorhees Center and its owner, Genesis HealthCare, are being sued.